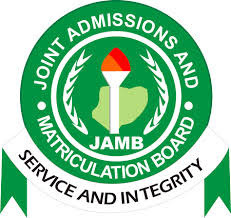 The Senate on Thursday approved the extension of the validity of the results of the Unified Tertiary Matriculation Examinations (UTME) being conducted by the Joint Admissions and Matriculation Board (JAMB) to three years. The News Agency of Nigeria (NAN) reports that the extension was contained in the new amendments made to the Act establishing the board. The Bill approving the amendment of the Act was passed at plenary on Thursday., and the senate said that the extension was granted to reduce the financial burden of the examination on parents. The passage of the Bill followed the report of the Committee on Tertiary Education and TETFund chaired by Jubrin Barau (APC Kano North). In the report, the committee said the validity was extended in view of the financial hardship experienced by parents in sponsoring their wards for the examination. On June 1, the Senate read JAMB Amendment Bill 2016 for the second time and referred same to the Committee on Tertiary Institutions and TETFund for further considerations. The purpose of the bill is to among other things, amend the JAMB Act to increase validity period of JAMB examinations from one academic year to three academic years. The Bill was generated after a motion moved on the floor in November, 2015. The motion entitled “JAMB’s New Admission Policy’’ was sponsored by Joshua Lidani (APC Gombe South). The Senate had then ordered the board to immediately stop its policy of re-assigning candidates to schools they never applied to.In another development, the Bill Seeking the Establishment of the Nigerian Peace Corps was deferred as members did not agree on certain terms in it. They expressed concern over some insertions in the Bill and argued that further considerations should be stepped down for another day in order to allow the Committee on Interior to do a proper job.